The 2018 BET Awards is quickly around the corner, and on Wednesday, the network announced the first round of performers for this year’s award show. 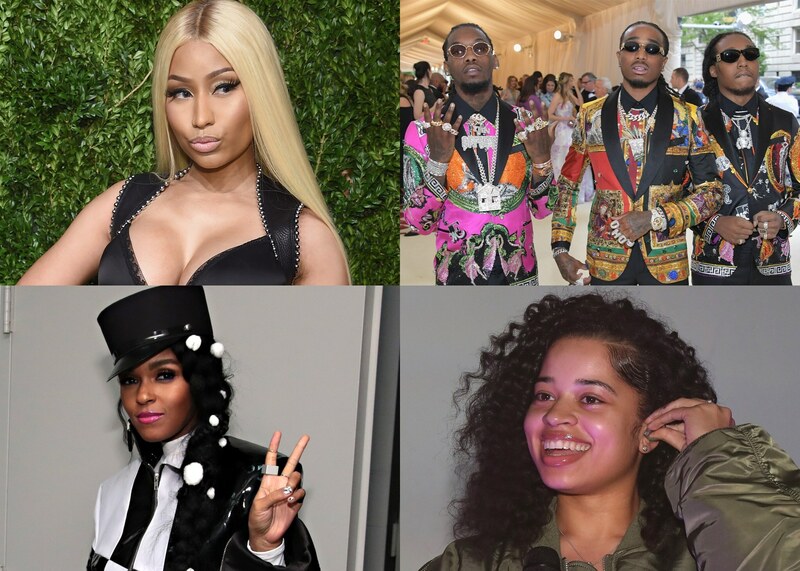 According to Billboard, Migos, Nicki Minaj, Janelle Monae and Ella Mai will hit the BET Awards stage on June 24th at the Microsoft Theatre in Los Angeles. Janelle Monae has been riding high off of the success of her latest album “Dirty Computer.” She released her “Dirty Computer,” emotion picture on YouTube and announced she’ll be hitting the road starting in June. Ella Mai has everyone and their mama singing her latest single “Boo’d Up,” which appears on her latest EP “Ready.” It’s pretty safe to say that she has one of hottest anthems out at the moment. More performers are expected to be announced within the upcoming weeks. Jamie Foxx will serve as the host of the 2018 BET Awards, which airs on June 24th at 8pm. Roommates, will you be tuned in to this year’s award show?